Don’t you look at me with those, “girl. you’ve got weeeriiirddd taste buds” eyes. Just don’t. Besides. I know you spend some nights sitting on your couch with a tub of mint chocolate chip ice cream and a spoon and call it a date night. But really, is basil buttercream so different? I promise it’s not, especially since when I handed The.Boy. a cupcake without telling him what it was, he swore up and down that it was mint chocolate. Until I told him it was basil chocolate. I totally see where he was coming from, though, because the basil infusion takes the buttercream from being heavy to being light and refreshing. There’s something a bit herbaceous about it, but in a breath-of-fresh-air kind of way, so maybe you think mint when you first bite in, just because your mouth feels like everything is right in the world. But then it’s unmistakably basil, the whole rest of the way. 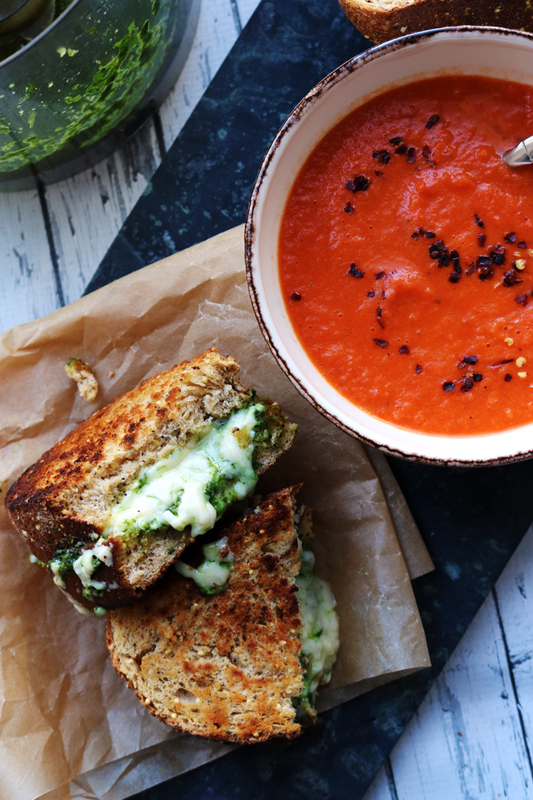 Basil = a leafy green = breakfast appropriate. Preheat the oven to 350. Line cupcake tins with paper liners. In a small bowl, combine the cocoa powder and hot water and whisk together until smooth. Set aside. In another bowl, combine the flour, baking soda, baking powder, and salt. Combine the butter and sugar in a medium saucepan over medium high heat. Cook, stirring occasionally, until the mixture is smooth and the butter is totally melted. Transfer the butter/sugar mix to the bowl of a stand mixer and beat on medium-low until cool, 4-5 minutes. Add the eggs one at a time, scraping down the bowl after each addition. Blend in the vanilla and the cocoa mixture until smooth. Add the flour mixture in three additions, alternating with the sour cream. Mix after each addition just until incorporated. Divide the batter evenly into the prepared liners until they are 3/4 full. Bake 18-20 minutes or until a toothpick inserted comes out clean. Let cool in the pan 5-10 minutes, then remove to a wire rack to cool. 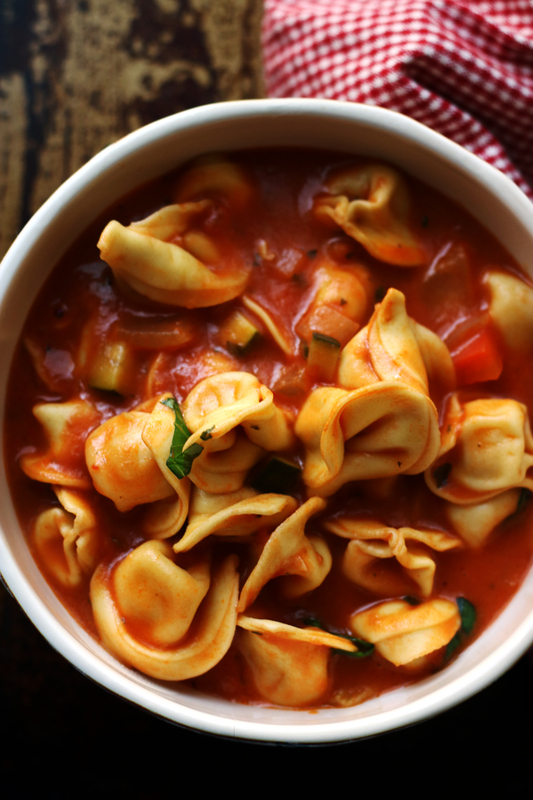 Combine the milk, heavy cream, and basil in a heavy bottomed saucepan. Heat until simmering, then remove from the heat. Let cool and then refrigerate for at least 2 hours and up to overnight. Remove the basil leaves from the cream, squeezing any basil juice into them before discarding the basil. In a heavy bottomed saucepan, whisk the flour and sugar together. Add the basil milk to the pan and cook over medium heat, whisking occasionally, until the mixture comes to a boil and has thickened, 10-15 minutes. Transfer to the bowl of a stand mixer. Beat on high until cool, 7-9 minutes. Reduce the speed to low and add the butter, one piece at a time. Mix until thoroughly incorporated. Increase the speed to medium high and beat until the frosting is light and fluffy, about 1-2 minutes. So I definitely ate mint chocolate chip ice cream last night directly from the container while sitting on the couch and watching the Olympics with Mike. Yeah. This frosting is beautiful! But I have no doubt that it even tastes 10x better than it looks too!! it is simply beautiful. Such a tasty picture. It’s amazing. oh I would definitely eat these for breakfast! Beautiful pictures! I think basil & chocolate is a wonderful combination. Definitely no eyes from me! I think basil buttercream is a fantastic idea! If this is what you baked for lab meeting, I hope your labmates appreciate you for it! That minty, basily green is so gorgeous. I could eat these anytime, including breakfast. How did you know I was giving you that look? BTW, by the end of the post you had me sold. You always impress me with delightful and exciting cupcakes! I know I can count on you 😉 These look fantastic! I like how you roll babe! These look awesome. Will most defiitely be giving these a try. Hi, You should know that basil is in the mint family. I grow mint and basil. Furthermore, I am told that if Thai Holy Basil is not available, you could mix mint and basil half and half. So, wierd? Not! 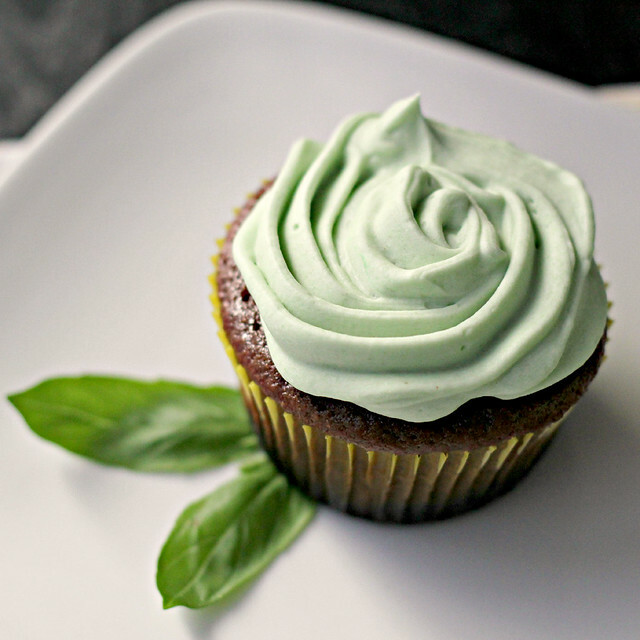 Basil frosting can’t be any weirder than carrots in cake. And I only judge Paul (when he takes taco meat left overs from one night, grilled fish from another night, mixes them together and sprinkles it all with Greek seasoning), but you? I don’t judge. wow Jo, this is such a creative cupcake recipe. The frosting sounds and looks amazing. I totally love it!!! This sounds like a perfect cupcake!! I love it – sounds like a perfect combination! Wow. Whenever you want to have me over for a cupcake party, just let me know! I would not min trying these or your mango curd cupcakes!! oh my gosh, this sounds fantastic!! so creative! Those look amazing. Too bad I just used up the last of my basil making pesto last night. Such a gorgeous colour too and not a mint in sight. Such a novel idea! And I swear I didn’t make a face – though I don’t think I could eat this leafy green for breakfast! I love chocolate AND basil – so no weird looks from me! These look beautiful! I love how GREEN the frosting is! These cupcakes are adorable. And it really does look kind of like mint. 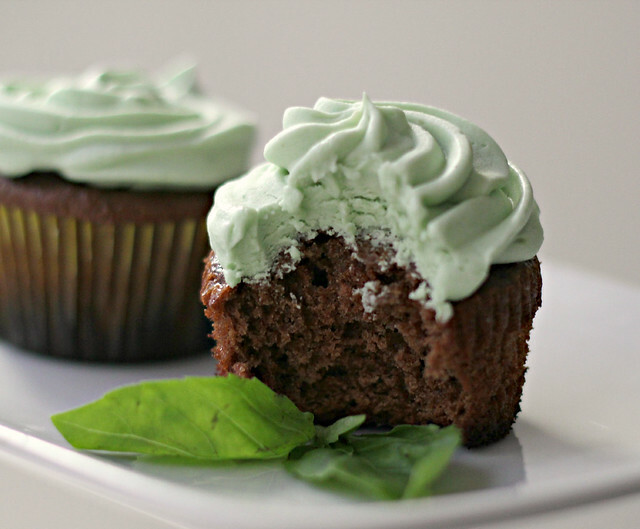 I would NEVER think to put basil in frosting… you are so darn creative girl! I think they look beautiful and delicious. Haha, I think that I would eat them for breakfast regardless. This looks fantastic!! Beautiful colors! 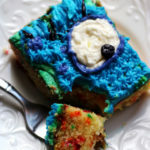 What a delicious combination!Very creative and interesting frosting! i would love to try this! i bet it is amazing with the basil flavour and chocolate! I love the way you think, Joanne. I so wish I could try just one of these right now. I bet I would love it. I’m a break from baking until my jeans stop hating me, but that sure doesn’t stop me from drooling over your photos! 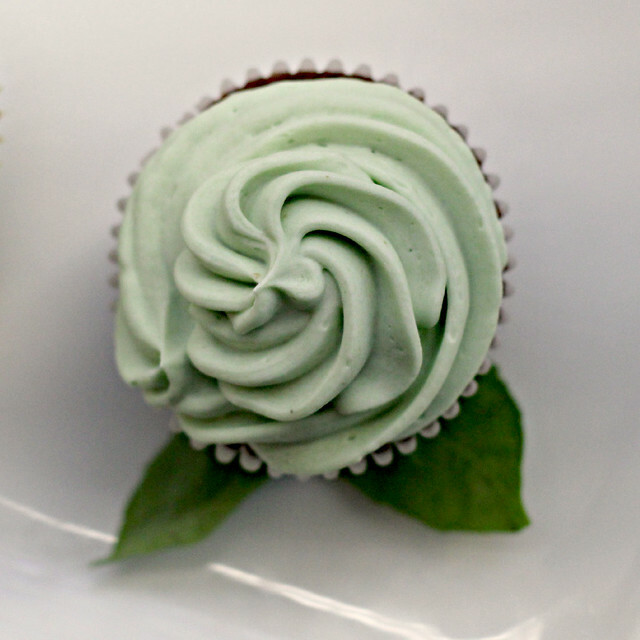 Basil + Buttercream = Brilliant!!! These look so yummy. 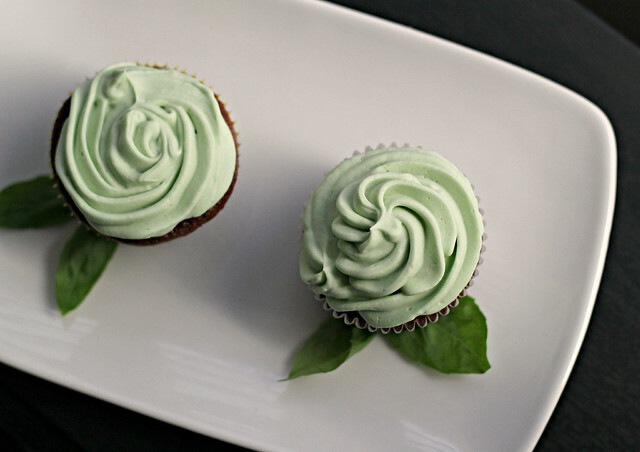 I have never baked with basil but those cupcakes look amazing. BASIL BUTTERCREAM! I think it’s brilliant. And how did you know about that whole mint chocolate chip/date night thing? Are you watching me? These are so pretty, I love the way you frosted and styled them! I can totally see basil and chocolate working together just as well as mint and chocolate, if not better – I much prefer basil to mint! Really gorgeous… I am so restless now to try this.. The color of this frosting is stunning. I bet it goes perfectly with the chocolate cupcake! This is really gorgeous, JO! What an amazing pairing. I would LOVE to try this!! Cupcakes for breakfast?! Yes! 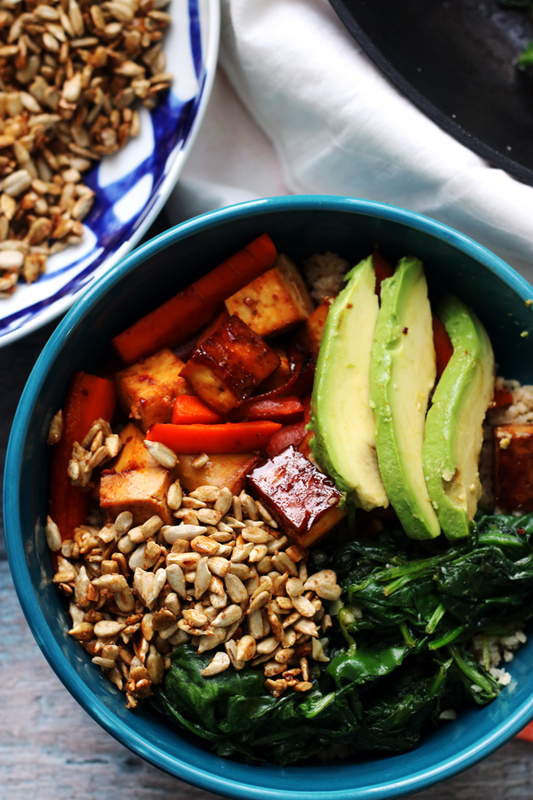 And yes, leafy greens are a total breakfast option! the color on these is beautiful! How gorgeous are these? VERY! And I love basil and other savory herbs in baked goods. Just adds a mysterious flavor that so entices. I simply won’t rest until I’ve tasted this!! I love your frosting technique, too! guuuurl, you’ve got GREAT tastebuds! 🙂 this looks so good, and is rather pretty! i would never think to add fresh herbs to a sweet treat, but it makes total sense. loves it! I would definitely try one. probably two. But didja have to go and mention there was basil in the frosting? I am intrigued by that – basil buttercream. I like the thought of that as breakfast. Yum. What a great idea! It looks very pretty and I imagine that the basil pairs very well with the chocolate. I enjoy some herbs in my baked goods sometimes! Weird!! Love that frosting idea. You. Rock. My World. Fresh basil gives such a wonderful flavor, much better than the dried stuff, so this would be a nice flavor combo. I would try it! LOL, I was thinking that my mind would probably tell me it was mint-chocolate, too…just by seeing that soft green against the chocolate. Either way, it wounds fantastic! You are too cool! and so is this basil buttercream frosting. This really sounds fantastic. Gotta try this one out. That’s twisted, sister! 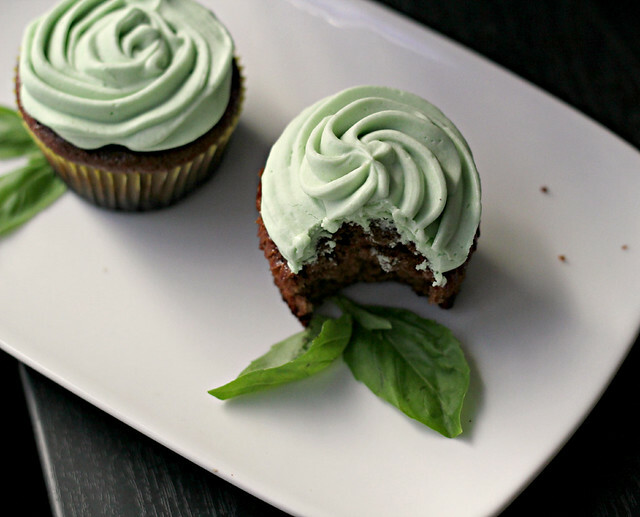 Basil buttercream – so odd. But once you discuss it, I can totally get it, it makes sense. You are a food adventurer, Ms. B.
Oh man. These are just…I can’t even come up with words to describe the awesomeness. LOVE! Slowly, but surely you are going to turn The.Boyfriend into a bonafide foodie! omg! That green frosting is gorgeous. My mind definitely thinks mint when I look at it. 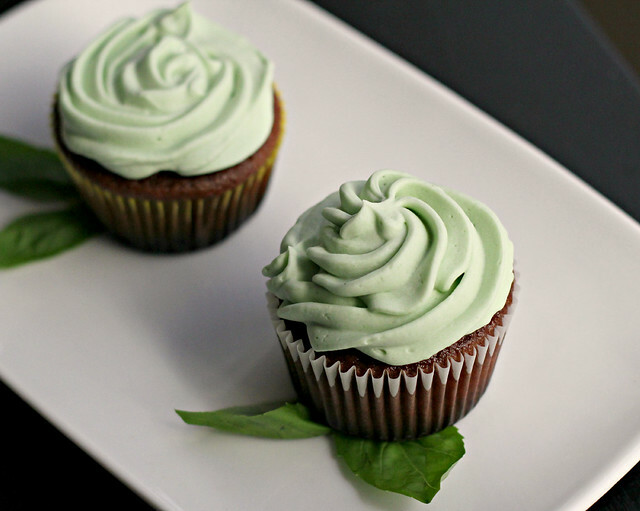 I’m not even sure what the basil buttercream would taste like; but, pass me a cupcake please. I’m definitely wanting to try it. You just blew my mind! Now I’m not thinking it is weird or anything. 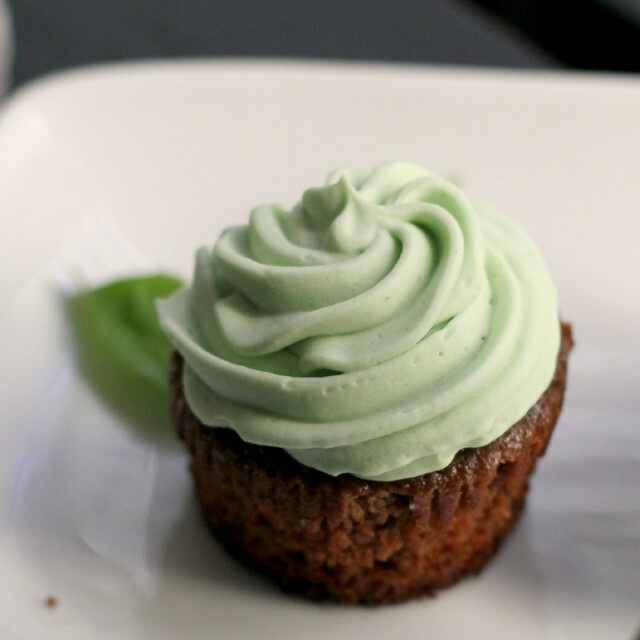 I can always go for herbs in my sweets, but basil with frosting is brilliant. They look amazing! Basil might sound weird initially, but when you come to think about it, it’s just the same as mint!! This is an excellent buttercream!! I’d have to try it some day! I’m sure it would taste so refreshing! And the combination with the chocolate cupcakes must be delicious! These are gorgeous! I love the buttercream! A good way to use up all my backyard basil! Nothing wrong with your tastebuds, girlfriend – I think basil and chocolate make for a great flavour combination. And I think these would be entirely breakfast appropriate. In fact, I’m convinced that a cupcake is a very nutritionally sound way to begin the day. I mean it has basil…dark cocoa…eggs…milk…sounds perfectly well balanced to me! Delicious, my friend! I think basil buttercream sounds inspired. Not weird, at all! Thank you for sharing your creativity with me. yesssss! I would never make a weird face at basil buttercream, it sounds brilliant to me! There’s a radio show called Kidd Kraddick In the Morning and once the men and the women had a cookoff and for dessert, the men served jalapeno apple pie with basil ice cream and I was so digging it. I still think that sounds really good! (The men won the competition, by the way.) Anyway, I think I have to try this! I love the look too! Basil buttercream does sound a little strange but I could see how it works -totes appropriate for breakfast! What a fantabulous idea! Leafy green buttercream totally warrants this as a (super posh) breakfast. These are SO gorgeous! I must say… I totally want to try one. If I saw that flavor in a cupcake bakery, I’d get it for sure! What a treat! I promise I didn’t give you any weird looks. I’m totally into these! Lovely and unique, I’m giving these a try! I was really thinking, “Girl, you share my tastebuds!” One of the best desserts I’ve ever had was a chocolate terrine with Thai basil ice cream. I’m all about this chocolate-basil combination! 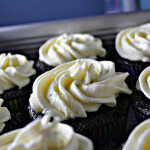 I must have weird tastebuds too because basil buttercream frosting sounds fantastic – and would be equally delicious on a lemon or strawberry cupcake. “Basil = a leafy green = breakfast appropriate”, haha, LOVE IT. I also love a good basil infusion too, so, wowzers. 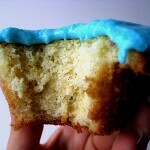 You’ve managed to make a cupcake look so fresh, almost even (dare I say) HEALTHY! “Weird”? Please, do you know who you’re talking to here? I think that your readership is well aware of your innovative flavor pairings, and comes back because of them, not in spite of them! Basil and chocolate are fantastic together, and it’s a shame that they aren’t matched up more often. Plus, that pale green hue for the frosting is just lovely. Wow! Now I have a way to use the fresh basil that grows in my back yard that I *never* would have thought of before. I bet these are amazing. Nothing quite beats fresh basil. Definitely bookmarking this! They are look amazing! Like roses! So pretty! Mint and chocolate would obviously be good too, but I’m intrigued by this combo. Sounds yummy! 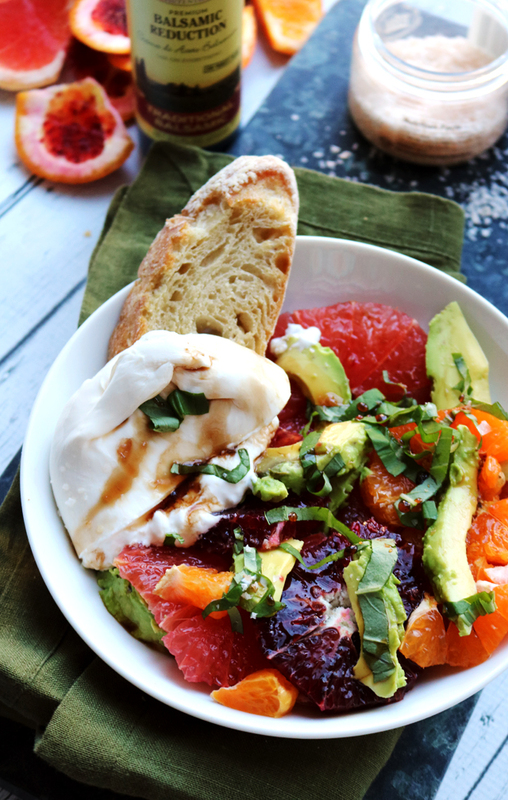 What a great blend of sweeet and savory! oh my gosh it’s posted! PATIENTLY waiting for this basil buttercream! you done good kid–really good! I agree – basil in sweet applications is a totally underrated thing! 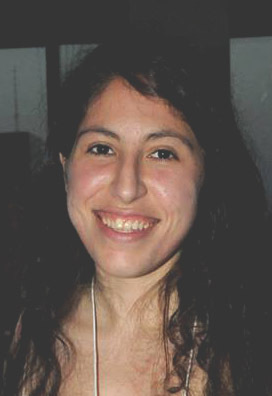 Exquisite Joanne! I always love dropping by to see what you’re up to… such an inspiration. Beautiful, creative recipes with stunning photography. Why did I not think of basil buttercream? Genius! I love that gentle green color of the buttercream. The flavor sounds amazing too. 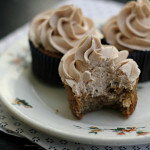 I lov the idea of basil buttercream.Also intrigued with using almond milk in frosting. basic buttercream? you are so inventive, joanne–my mind is locked on sweet with sweet, but i need to start branching out! Beautiful piping job and intriguing recipe. Great job! Basil? Who would have thought? I love it! I wonder about a vanilla cupcake with oregano buttercream! I had some fancy chocolate basil pastry in Paris about 10 years ago. Basil + chocolate = divine. I can’t wait to make these cupcakes! Did I hear right? Basil butter cream?? Oh my, that sounds so tasty!